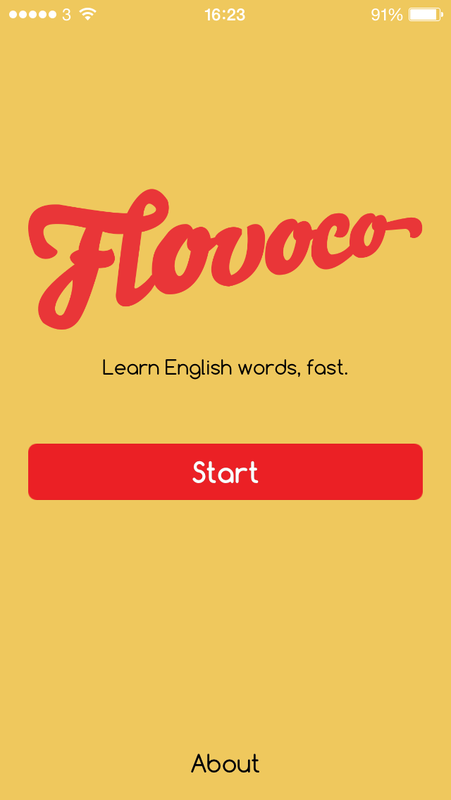 Flovoco is a vocabulary app developed by ELTjam. This review was written by Mike Harrison and first appeared on his blog. After the review, I’ve added a response by Jo Sayers (of ELTjam). Many thanks to Mike for allowing me to repost his review, and thanks to Jo for allowing me to repost his comment. I first became aware of this mobile application around July 2014, when ELTjam first posted about their product development. There was a fair amount of heat – the Edtech-meets-ELT specialists Nick Robinson, Laurie Harrison, Tim Gifford, and newbie at the time Jo Sayers, pitched us their product-in-waiting. A year or so later, I saw a presentation at IATEFL in Manchester where Jo talked about reviewing educational and ELT apps. And so to this review of an ELTjam ELT app. This review follows a model presented by Jo, reviewing the app across four categories: pedagogy and methodology; instructional design; user experience; cost and access. The version of the app I’m reviewing is 1.0 in the Apple AppStore, and I’m working on an iPhone 5S. Note – the app is only available in Spanish and English at the moment. But first, it is almost impossible to comment on an app without some ‘at first glance’ context, so here it is. I initially thought that ELTjam’s marketing was a little audacious – creating a landing page for an app that didn’t exist – but following conversations recently I now realise this is fairly common practice, and a good way to generate leads for email lists and such. I do still balk a little at the audacity of fanfare around the app (more on that to come under ‘pedagogy and methodology’). On opening the app for the first time, I was impressed by how slick it looked and felt (and more on that under ‘user experience’!) – I have to hold my hands up and say that I have yet to be blown away by an educational app, whether designed for ELT or more general educational fields. Let’s see whether this will change. The overarching principle behind Flovoco is that words are important. And that in order to get better at using a language, the best thing to do is bump up what you know about the most common words in that language. So far , so good. Flovoco aims to help learners learn more about words by presenting them with a number of activities focusing on different information about a given word – its meaning, pronunciation, how it might be used in a phrase, and then again with words deemed to be confusing. These different areas are named as Translation, Listening, Usage, and Confused Words – and they are presented as ‘levels’, Translation being the first (easiest?) level and Confused Words being the fourth level (and most difficult of the four?). This all seems fairly logical. But then it all starts to go a bit wrong. In the Translation activity, words are presented with possible matches that aren’t even the same part of speech. Alright, wrong answers are clearly marked with a red light and wrong buzzer sound – but this is behaviourism at best. At worst this may actually confuse learners. 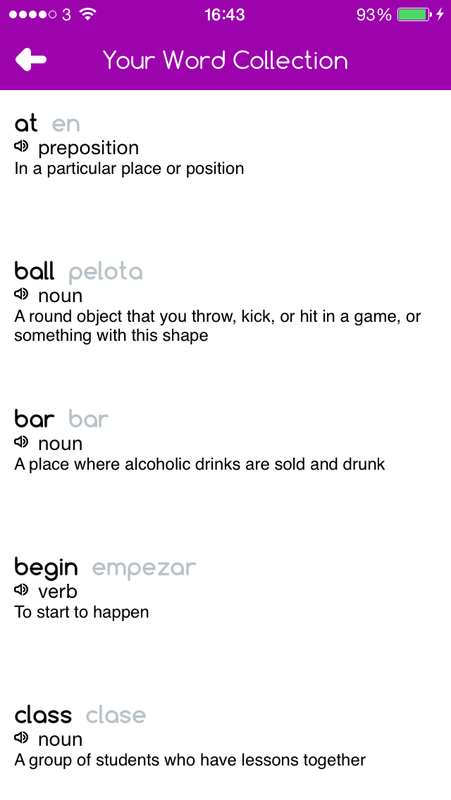 Not to mention that this only works by looking at a single meaning of a word – so there won’t be many colloquial meanings and translations included here. The Listening level does the same thing. Words that are presented alongside each other are completely different. Sometimes phrases are presented, but the audio only comprises of one word in the phrase. For example, you might see ‘pay for something’ but only hear ‘play’. There may be less potential for confusion among words here, but having such a mismatch between the audio and text may be more problematic. The next two levels are essentially the same – gap fills featuring the words that are being studied. Level three, Usage, again often presents possible answers that are completely different parts of speech. 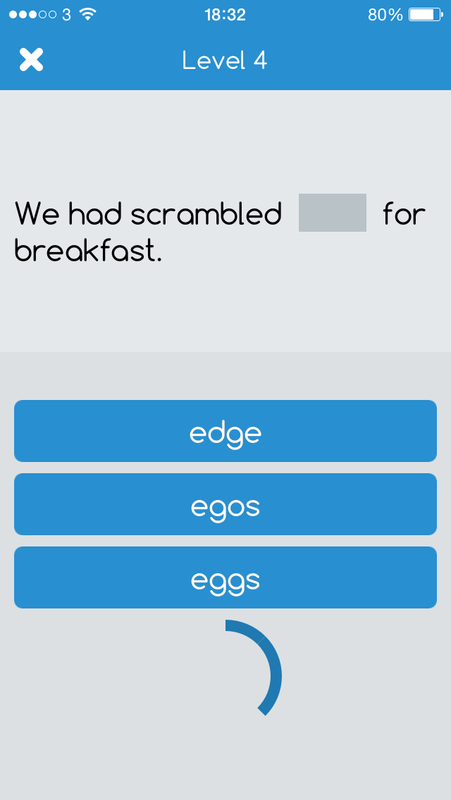 Confused Words is more of the same, but this time the words presented in the three answer slots are potentially easily confused – this seems to be focusing mainly on spelling and/or pronunciation. Overall, pedagogically Flovoco has a noble aim – looking at the different things it’s useful to know about a word – but in practice it’s a bit confused. Methodologically, the structure of feedback is very behaviouristic. Didn’t we leave Skinner behind a while back? Admittedly I’m getting my head around the jargon of app development here, but I can’t see this. There isn’t any adaptivity (is that a word) built in to the app. You just work your way up the levels, aiming to get all 500 words into the Your Word Collection at the top level. Nothing adapts down if I keep getting a word wrong – there’s no help other than hoping that I’ll see the red ‘wrong’ button highlight enough times to learn. If I’m racing through the words, there isn’t any extension to what can be done with the words. Maybe there is space for some kind of freer practice, perhaps based around the community of language learners that ELTjam probably hope to cultivate with the app. It looks pretty. It’s fairly easy to tap-and-go in getting started working with the app. There aren’t too many (any?) instructions, so it does rather rely on learners using the app to work things out by trial and error. The user Profile screen is relatively clean and looks straigtforward. 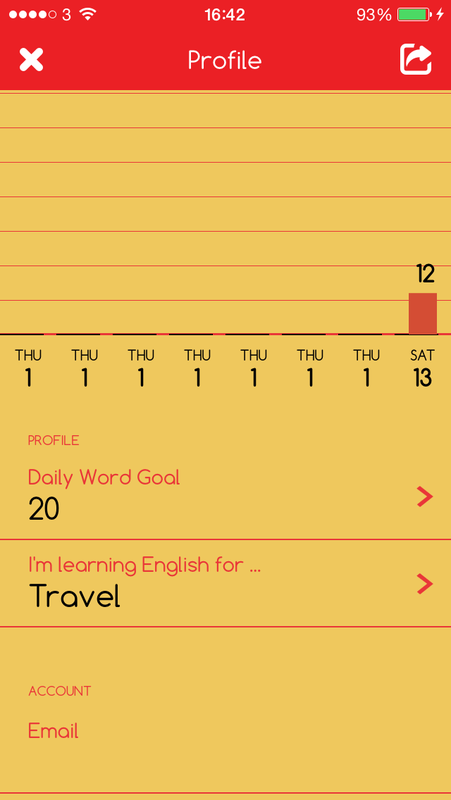 But I haven’t worked out exactly how the Daily Word Goal works (maybe because I don’t use the app regularly) and navigating the Profile screens is a little laggy. There is a playful feel to the app, from the Flovoco logo font to the coloured circles and stars representing the different levels. If they wanted to make learning words look like a game, that’s the impression you get. Free. Spanish and English only. iOS only (the website says an Android version is in the works). Not yet available on Google Play. This app certainly got people talking when ELTjam first posted about it, and there is the intent to do something different in the world of ELT apps. But from what I see so far, putting it into practice leaves a fair amount to be desired. Further thought needs to be made about plausible distractors, the focus on the word level meaning may need to be expanded to make this truly different, and sorting out some kind of support/challenge for more and less able learners is something I think is quite key. Flovoco a go? There is some potential for this app to be really good. But sorry Flovoco, at the moment it’s a no from me. Firstly, thanks very much for writing a review; we really appreciate the feedback and reviews like this will help us as we build Flovoco to a state where both learners and industry professionals can clearly see the value it delivers. This is still our v1.0, as you point out, and so there are many things that we had to do in a way that was good enough to ship it, but necessarily not as finalised as we’d want it to be in an ideal world. The hope was that we would test some key assumptions with this version and learn things that will help us to build it out in a direction that sees it add real value to learners. The behaviourist approach. 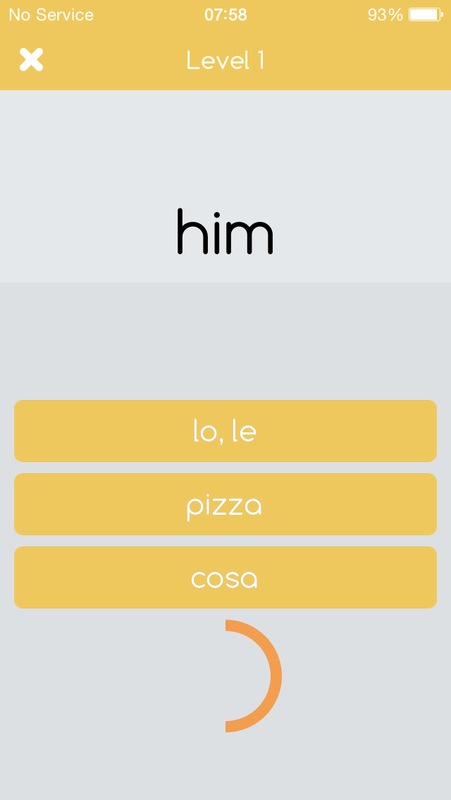 Our intention with the app is not to offer a complete language learning solution, rather to offer a way of quickly acquiring key vocabulary that will act as a foundation for other language development. We feel that lexical acquisition is an area that lends itself well to a more systematic (behaviourist?) approach, and also helps to achieve the flow state that we were aiming for. Multiple senses. We made a decision to focus only on the primary senses of the words in this version to avoid the complexity of having to demonstrate what is a second or other sense of a word that they’ve encountered before. 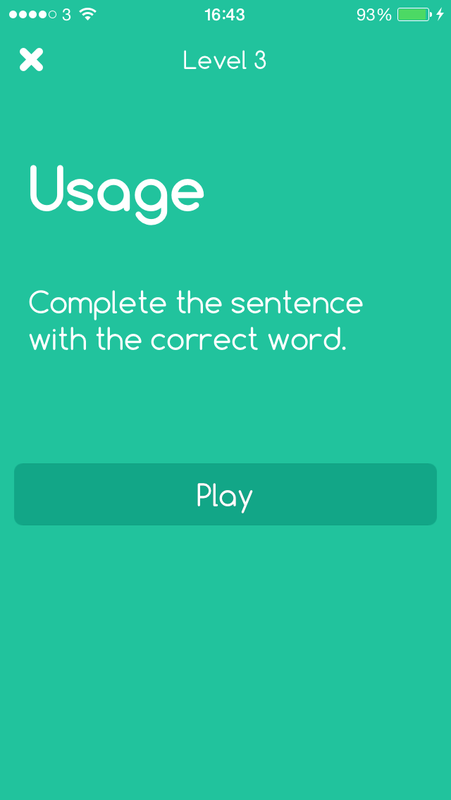 What you’re actually pushing through the levels in the app is a single sense of a word, rather than a word itself. The distractors. 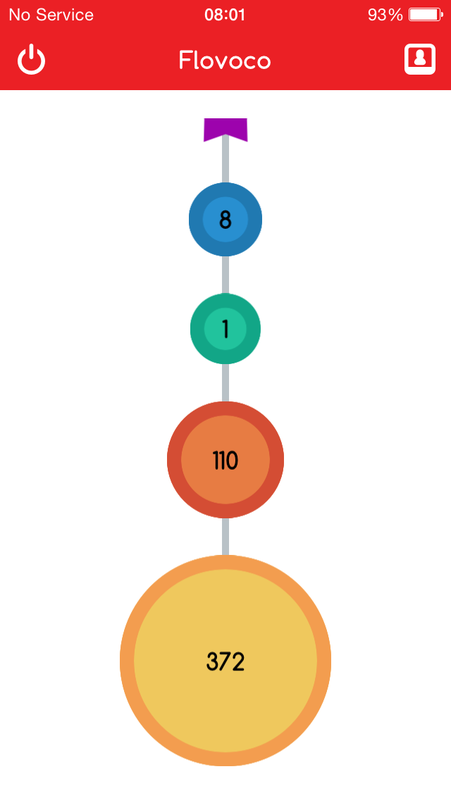 The distractors for levels 1 and 2 were chosen automatically by an algorithm. I’m not sure I agree that they should all be the same part of speech. This would actually have been very straightforward for us to achieve programmatically, but we felt that it wasn’t any more pedagogically sound than mixing parts of speech. In level 2, the algorithm choosing the distractors selected words with the same initial letter and as close to the same total number of letters as possible, but as the distractors are chosen only from the 500 words in the initial pool this reduced their effectiveness. We have a plan for the next version which should make the selection much more effective. What we wanted to test here, ultimately, was that the algorithm approach worked and didn’t interfere with the learner’s ability to complete the activities. Levels 3 and 4 being the same. Level 3 focuses on collocation by keeping the target word in the sentence (in bold) and removing a collocate; the distractors are, where possible, similar words that don’t collocate with the target word. Level 4 initially aimed to focus on derived forms of the target word and in this case the target itself is removed and other words which are similar to it act as distractors. As a lot of the words at A1 don’t have strong and obvious collocates and many don’t have derived and inflected forms this was more challenging than it would be at higher levels with fewer functional words and lower frequency content. Instructional design. Yes, there is no adaptivity. But if you get words wrong they move to the level below, and if you get them right they move up to the next level. In terms of the feedback, the word list on the results page gives a bit of additional information about the words that you have seen. We have plans to incorporate in some community aspects to the product too. However, our plan is not to build that up within ELTjam. As I have discussed in this post for a product website, we have made a shift away from offering this directly to consumers, and now see this as an opportunity to work with publishers and offer the product to their learners through partnerships with them. The B2C version acts as a way of gaining market validation. Daily word goal. Yes, there are bugs in this which affect the calendar and the lag you mentioned. A new version was built out last month and we should be able to ship the updated version soon. I hope that helps to put a few of the things you noted into context. It’s also worth pointing out that during the first two months of the app being out and promoted (we are no longer promoting this version as we have learned the things we hoped to) the average session length was over 9 minutes; way more than average in most industries and even more than the average for music apps, according to this data. We also had around 8% of sessions that were over 30 minutes long. So there were a core group of people who were incredibly motivated to use the app. And given that very little is done to incentivise returning to the app (no push notifications, leaderboards, 2 player games etc.) we were really pleased to see that around 8% of learners came back for an 8th visit. So, while there are definitely things to improve, the core offering resonates with learners in what is clearly a very busy and highly competitive marketplace. Thanks again for the review, it would be really interesting to see what your thoughts are on future iterations. Looking forward to chatting it over next time we meet.